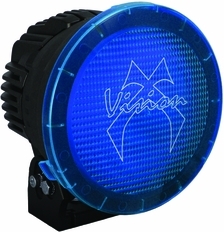 The Vision X 8.7” rectangular PCV-8500BFL features polycarbonate protective cover, offers a shatterproof cover that protects from rock and debris impacts, and comes in multiple housing colors. The PCV-8500BFL comes with a standard warranty, each cover weighs 1 pound. Coming in with a fully gasketed cover for dust and water protection.